“The story being told by her nephew clearly has holes in it?” and “verbally abusive male”? So, you’re falling into that classic trap of blaming the victim that is so often aimed at female victims of domestic abuse. That is terribly sad. If we are to advance national views on and against domestic abuse, we need to stop blaming all victims–female and male–of domestic abuse until their allegations are proven false. You call yourself a feminist, and yet you’ve just hypocritically participated in an action that has been detrimental to millions of women victims of domestic abuse for years. Congratulations. I’m merely highlighting that this is not a clear cut domestic violence case, and it probably shouldn’t even be called domestic violence. 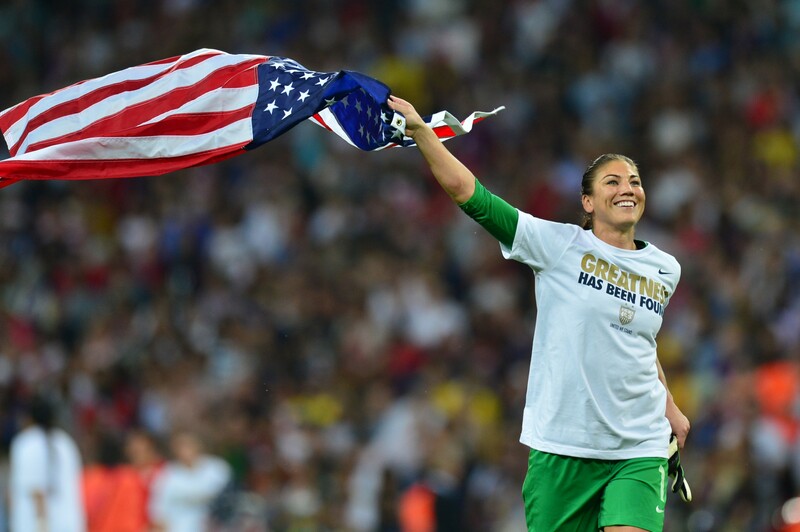 It’s assault with violence on both sides and it has not been determined that Hope Solo was the sole aggressor. Very few domestic violence cases are entirely clear cut. Most do not have videos like the Ray Rice case. If we depended on such clarity, few male or female domestic abusers would ever be charged or convicted. It was, however, a domestic violence case because she is being charged with two counts of gross misdemeanor domestic abuse (respectively) against her sister and her 17-year-old nephew (a minor), who are both her relatives. Also, many cases of domestic abuse do not involve solely one aggressor. Janay Rice did get into her husband Ray’s face, however, his violence was inordinately more severe than hers; thus; he was the abuser. If a victim had to be pure in their actions to make a successful charge against their abuser, then many legitimate cases of abuse would be dropped. I don’t think you’d want that. Finally, I think your blog is great, and I agree that feminists can still embrace flawed woman; are any of us men or women unflawed? However, I have volunteered at abuse shelters, and almost all the women there said being blamed for their abuse was painful insult added to their injury. No victims of alleged abuse–female or male–should ever be blamed or insulted (“verbally abusive male”) until their allegations are disproven…not even Hope Solo’s nephew.